TEMPE — Tucked away in a former warehouse, where the fuzz for Penn tennis balls once was manufactured, resides the Coyotes Curling Club . Six expat Canadians with a passion for the game decided after the 2002 Winter Olympics in Salt Lake City, Utah that curling belonged in the desert, too. 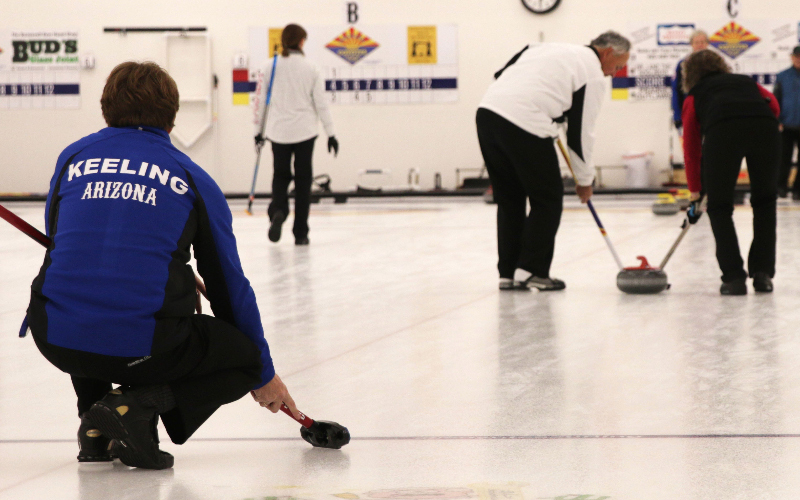 Thanks to the popularity of the sport in the Winter Olympics, Coyotes Curling (which is not affiliated with the NHL Arizona Coyotes ) has seen its membership expand year after year. The club started with six members and grew to 60 while it was located at the Scottsdale Ice Den. Once the club secured its current location in Tempe, it has grown to 180 members.